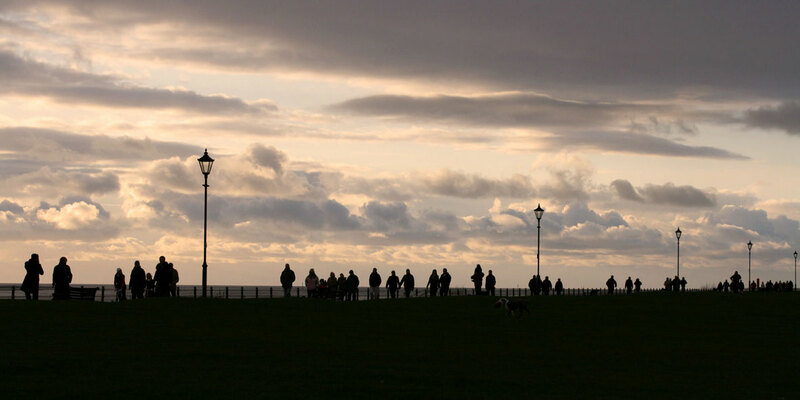 (A familiar walk between St Annes and Lytham). I have written before about walking in familiar places. As I think about last year’s walking project, I realise just how important the familiar is to the particular pleasures I find in walking. Stomping the same ground is an important way of connecting with a landscape, allowing you to create a personal map of a particular space, and to lend that map your own meanings. And familiar walks map time as well as space: the landscape changes daily with the seasons, and each walk contains the memory of all previous walks along the same trajectory. 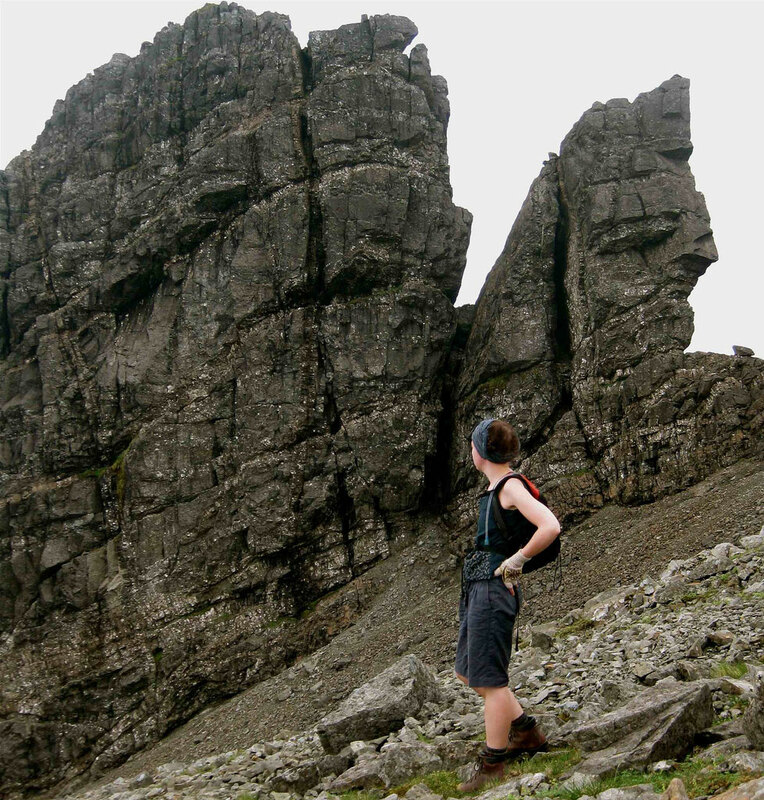 Last year, I enjoyed walking in some truly spectacular unfamiliar places — the Clisham Ridge, the Black Cuillin — and these walks were thrilling precisely because their spaces were unknown to me and because (in the case of Skye particularly) I felt myself to be far too small and insignificant to impose meaning on a landscape that sublime (There’s a certain kind of excess to the landscape of Skye that I find incredibly compelling, and impossible to articulate). These unfamiliar walks were challenging, exhilarating, and tremendously awe inspiring. 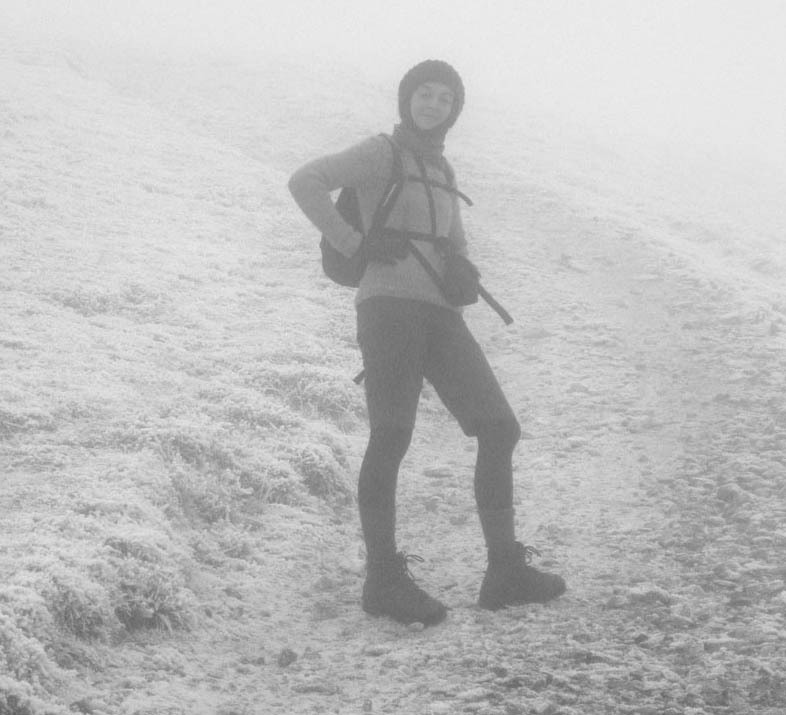 But I think that, on reflection, the most significant walks of 2009 were those where the only map I needed was the one in my head. For example, I have walked the same 10 mile circuit of the Pentlands innumerable times. 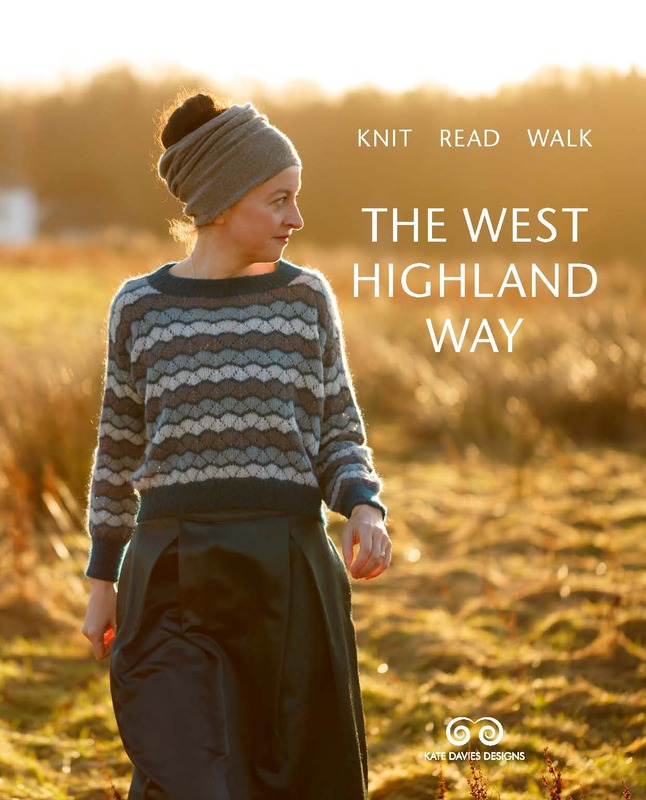 This is a walk I never tire of, always look forward to, and often dream about. If you asked me, I could draw or narrate the trajectory of this walk in precise detail. There is nothing exotic or wild about the Pentlands: they are a small range of small-ish hills a few miles away from where I live. 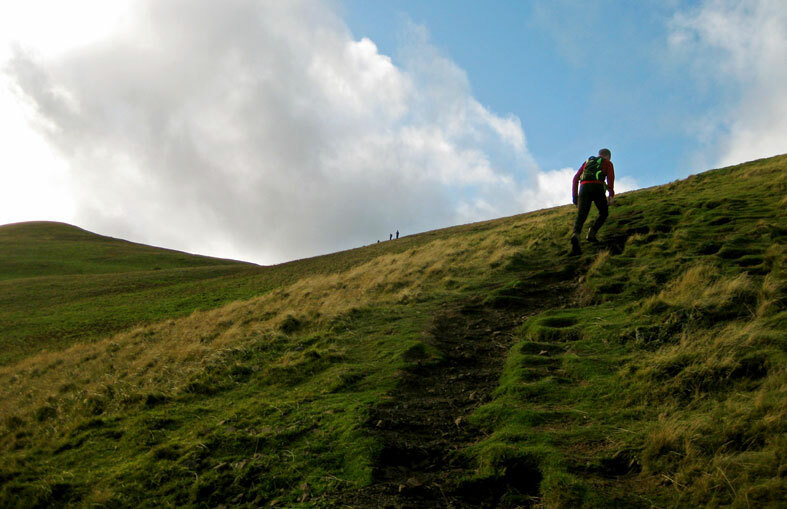 Managed as a regional park, and combining a variety of working landscapes, the Pentlands are very much a public space, used by all the folk of Edinburgh for many different kinds of recreation. They incorporate a fine rollercoaster of tops and valleys, and, on a bright day, afford a prospect of the city and its environs that is pretty much unbeatable. 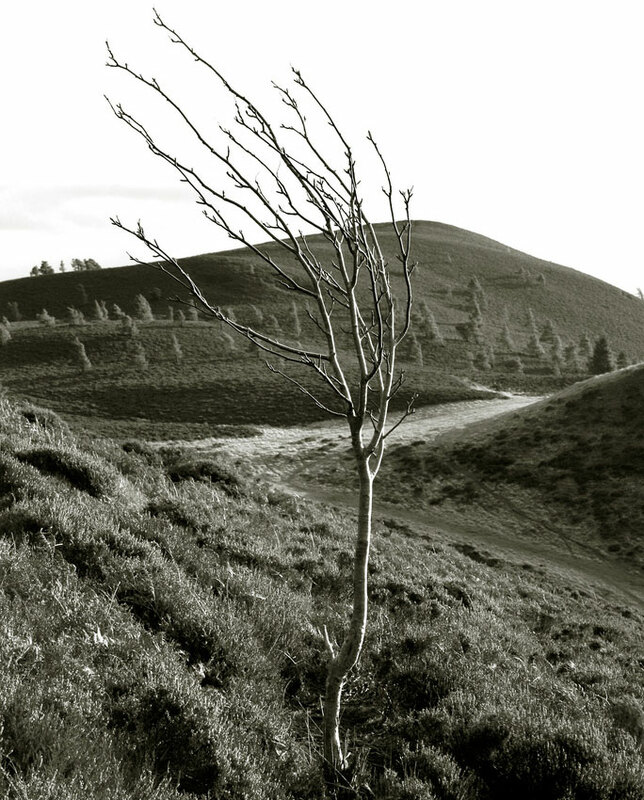 I love the Pentlands because I am close to them, both geographically and emotionally. The way I feel about the familiar ground of these hills has a certain something in it that is proprietorial — but (to me) this impulse is neither acquisitive or selfish because it involves spaces whose pleasures are explicitly public ones. I think that my proprietorial feelings about the Pentlands are perhaps similar to those that I find suggested in Nigel Peake’s maps. Peake’s maps are idiosyncratic, personal documents of spatial experience. Looking at one of his maps is like being party to a landscape that is coming into being inside someone’s head: these are spaces to which his pen and his perspective have given a local habitation and a name. All maps, of course, are proprietorial — they all represent a claim, in one way or another, to a landscape. Peake’s maps are no different, and they articulate his own particular set of claims (as cyclist, artist, architect, itinerant, inhabitant). But while the abstract and purportedly objective nature of some forms of cartography can alienate the viewer (or walker), Peake’s maps draw us into a landscape by making it seem both intimate (knowable) and enigmatic (unknowable). Looking at one of Peake’s maps is like being let in on something: but then he isn’t giving the whole game away, either. 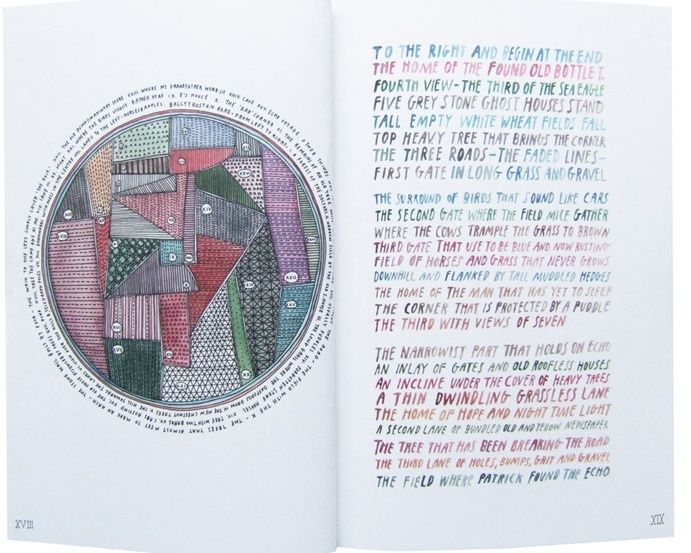 And when any of us walk through our own familiar landscape, when we traverse our own familiar paths, all of us create emotive, mental maps a bit like Peake’s: maps full of meanings, signs and portents that are unreadable to anyone else but us. So I think I like Peake’s maps precisely because they are so personal, intimate, and subjective: because they allow us a glimpse of the innumerable private landscapes that inhabit all public spaces. Peake’s maps are also records of a time that is prior to the time of his drawing: his maps transform the past into the present by documenting not just space, but the memory of of space. In her own inimitable creative practice, Felix uses sound to explore and excavate this very territory of spatial experience and private memory, and I love the way that she writes about the landscapes and noises of her own familiar paths. And perhaps, to one extent or another, we all feel this impulse to document, map, memorialise, or creatively transform the spaces that are close to us. As I look back over a year of walking, I know that photographs fulfil this function for me — and I have been surprised to discover patterns in photographs of my walks that have remained pretty much unconscious until now. For example, all of my pictures of familiar places and walks seem to share a common focus on a tree or group of trees. 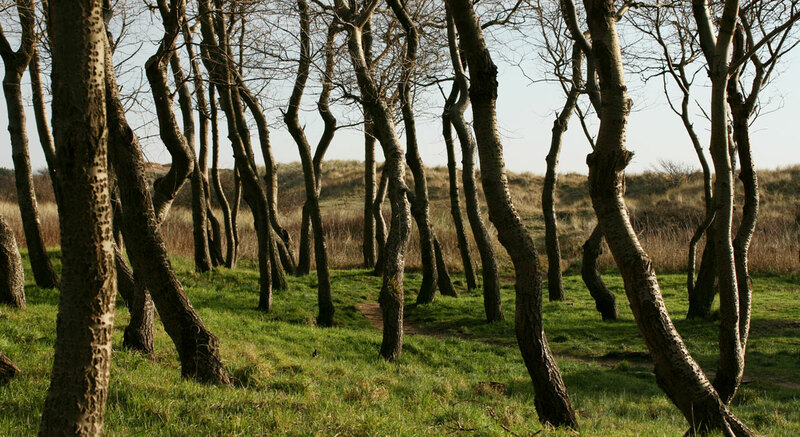 These particular trees are situated in a small copse between the dunes and the road that connects Lytham and St Annes. 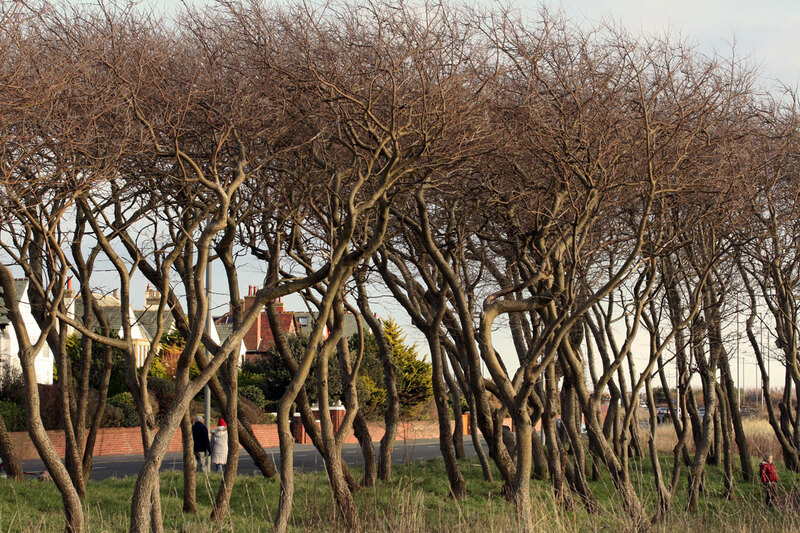 I walk the same 8 mile circuit every time we visit the Fylde coast, and I always look forward to seeing these trees. They are an unusual sight in a wind-blasted landscape of salt and starr grass, and their twisted forms seem stoic and defiant. Now, I was aware of my fascination with this particular group of trees, but, as I looked through my photographs, I realised that there was another tree in the Pentlands that I felt similarly about, and which I also looked forward to seeing again and again. . .
. . . and there is a recently planted rowan in the Eildons that I look for every time we walk there. 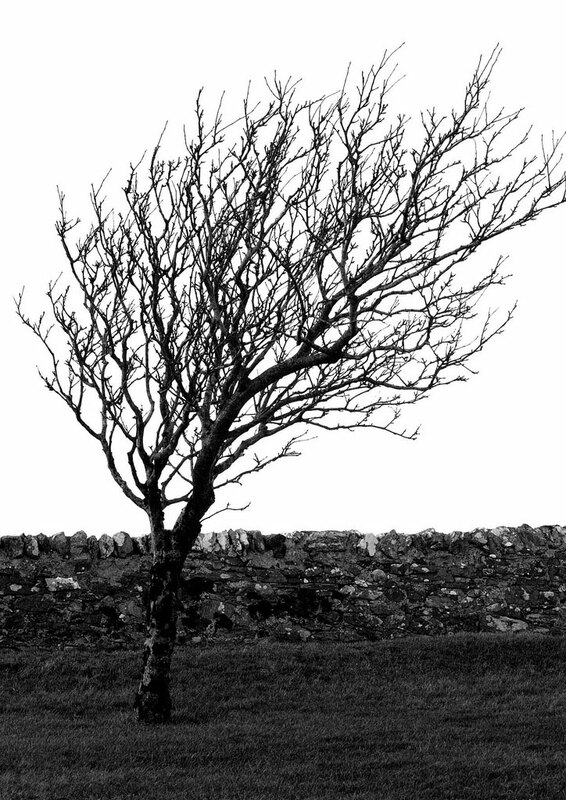 . .
Now, clearly I have a thing about windswept, isolated trees, but I think there’s something more to it than that. All of these trees are the inhabitants of the places that I love, and that I love to walk in. 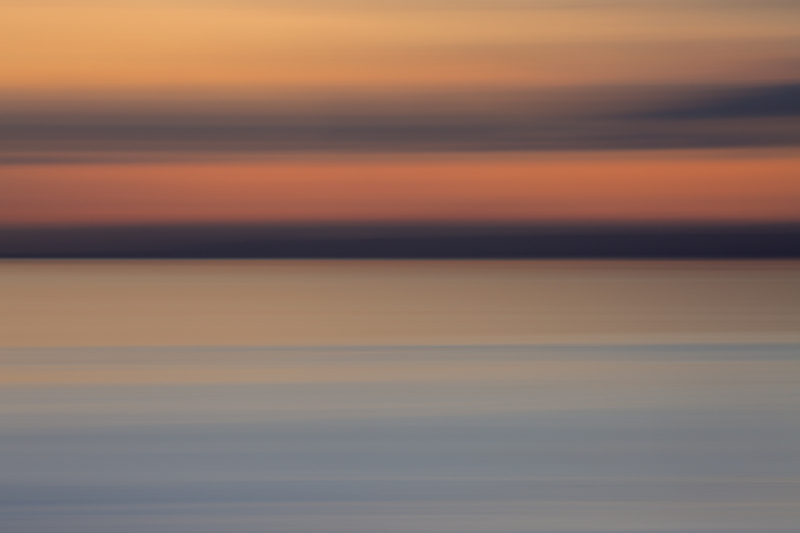 In their different seasonal forms, they bear witness to the changes that occur in these familiar landscapes over the course of the year — changes that I cannot see when absent. Each photograph of a tree fixes my memory of the landscape, and perhaps also stakes my future claim on it: I have to go back again, to see that tree again. This is what I mean when I say that the familiar walk is a proprietorial one: each tree is my claim, as a walker in the landscape, to a space I cannot possess, nor wish to own. But while I am a transient figure passing through a familiar place, the trees are its permanent residents. Perhaps it is the permanence of their connection that I am attempting to fix, or document in my photographs. Either way, these images reveal a take on my fond and familiar walking places that I hadn’t thought about or articulated to myself until now. 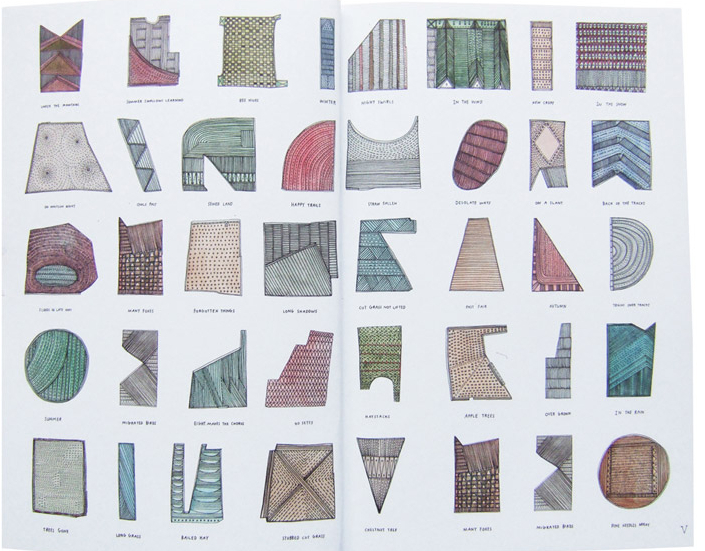 More of Nigel Peake’s work is available here as well as from the fantastic Analogue Books. 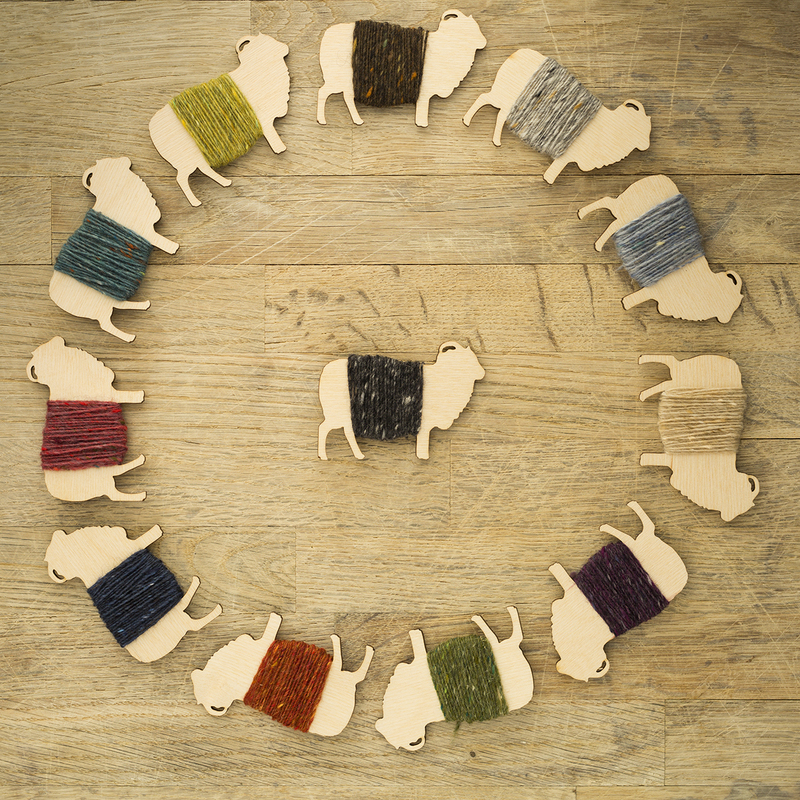 Have found your lovely blog through a link from Jude Hill at Spirit Cloth. I am just dropping you a line to tell you how much pleasure your photos and writing have given me already, and I look forward to reading through the archives. Those are wonderful photos and you’re wise to take them. You may think the trees will be there forever; but you never know what may happen. Around here, I’ve loved certain trees and then they get struck by lightning, or a wind storm, old age, or just urban sprawl destroys them. lovely post in many ways. traveling through local landscape with senses wide open, has been my practice for 30 years since choosing my home. i’ve really gotten to know this place. do you know the work of artist hannah hinchman? she draws “event maps” and describes this in “a trail through leaves”. i like her very personal response like nigel peake’s. my interaction with the landscape often has me on hands and knees harvesting for papermaking or dyeing. or watching a coyote watch me, or if i’m lucky, an eagle. I also have a thing about trees-whereever I go I seem to collect photos of them-often looking up towards the sky. 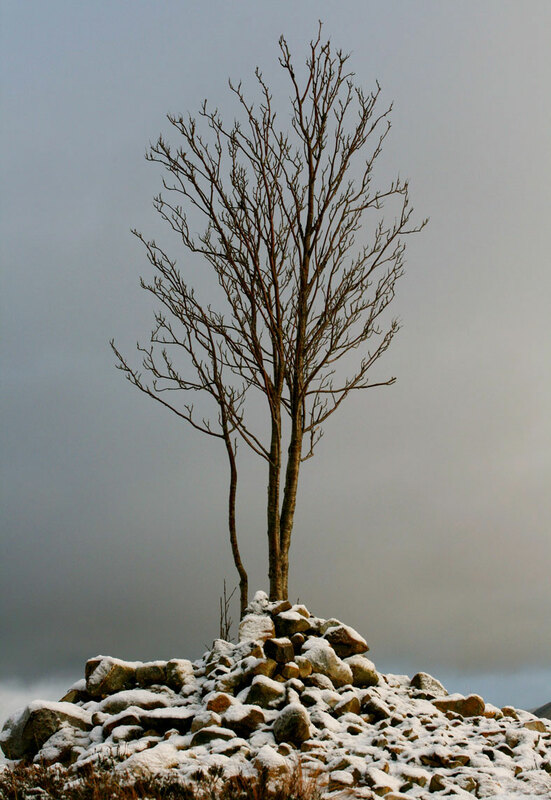 Perhaps this is why its so odd to go to places like Shetland where there really aren’t many trees or a rainforest (temperate or tropical) where the trees are so dense and it is so dark, you can’t make out individual trees and you wonder if the sky still exists. I think one of the best reasons to not own a car is that you end up doing more of these “familiar walks” and have much time, you think is wasted time, but in retrospect is a gift of a particular kind of thinking space you can’t get elsewhere. What an interesting topic! I feel that there is a connection between the familiar, routine, and repetitious and feeling at home or comfortable or belonging. It’s also interesting how it comes out subconsciously in photos for you too. I recently moved and I find the things I miss the most are the most routine- the view between the telephone poles from my front porch or the walk to the bus stop. Since I’ve moved, I’ve found that I take a picture of the roofs out my window almost everyday like some kind of fascination with the changing scenery but yet the static. I know when I move I’ll miss that view and I’m not sure it’s because of the photos or the photos just document it. I grew up below the pentlands, in Oxgangs (Dreghorn Bks). I learnt (badly) to ski there. Courted there. Cried there. Dreamed there. Watched the bypass being built below. Loved Reading your words, feel like your describing an old friend. Thankyou. Beautiful photos… I especially love the ones of ‘those trees’ – very evocative, and the light is just perfect. Trees are such wonderful observers of, and participants in, the world which changes and evolves before them. I think recently, in my walks, it has been the mountains which I have noted as permanent residents. I have photos of several beloved ranges. I love seeing them at different times of year and in different light. The next time I go out, I will have to open my mind to noticing the trees and collecting photos of them. What a gorgeous post – love the photos! I’ve always wanted to do more nature walking, and this post is so inspiring. I love familiar spaces too, I often felt self conscious about it as my friends went off abroad finding new exotic places and was quite happy pottering around familiar parts of Cornwall! I have always wanted to really know places and record seasons, the closest I got was the routes I used to walk with my dog where you would would notice very subtle changes (such as swans nesting somewhere different). I love your windswept trees and the shared places, long may the trees remain! I wonder if your relationship with the trees you observe is possible because they are relatively rare in the landscape, and need to be stoic and enduring. In the more temperate, almost sub-tropical city in which I live, trees are plentiful and mostly more transient. I’m presently mourning the disappearance of a young tree from outside my window, but I know another will have replaced it in a year or two. Such a thoughtful expression on what public space can mean. I think I would add that for someone inhabiting a city space which can change so quickly, where trees and flowers and paths that one has grown to seek out and value disappear almost overnight, you have to harden your heart to prepare for the loss of little places you love. Your post made me think about the landmarks that I always look out for on my journeys – whether walking, running, or on the train. Wow what beautiful scenery and as always thought provoking writing. It makes one long to travel and your blog always allows me to travel if only on my computer screen. I also love the trees – the stoic defiant trees by the dunes look very much like the gnarly sumac trees I see on the roadside as I walk. 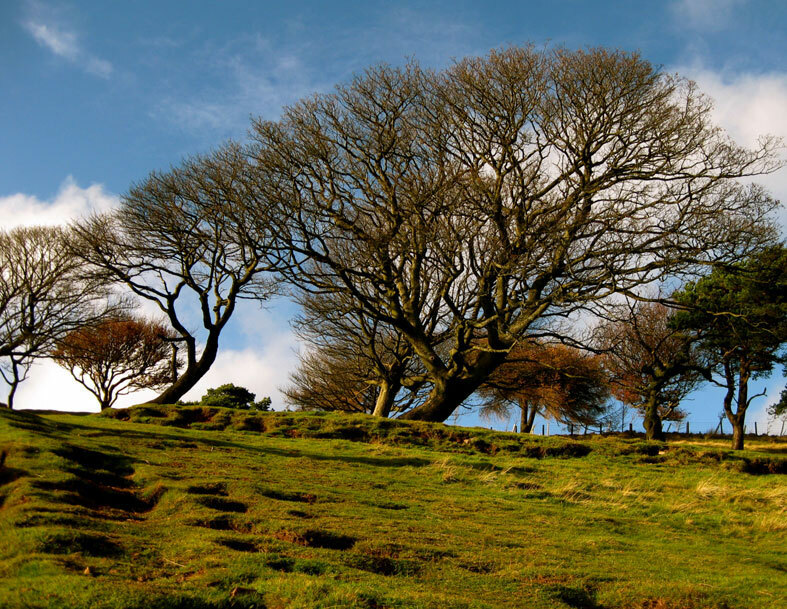 and the tree in pentlands like the savanna oaks that stand proud and whose limbs twist over pastures where the cows graze in a field that I past in the car. and then there are trees that sprout out of nowhere rooting to the rocks in the bluffs buffered by wind yet managing to stay rooted against all odds- those are the ones I admire most.